Clamshell quilts are on the top of many of our “quilts we want to make” lists. Not only are they so modern and appealing but there are so many fun techniques for constructing them. Maybe this post will give you the motivation and know how for starting your own clamshell quilt project. The author the blog Badskirt developed her own, non-traditional technique for constructing clamshells. Using purchased clamshell templates, she cut the fabric out with a 1/4″ margin around the edges. She then glued the edges to the template leaving it a little loose so that a needle and thread could pass through the edges. 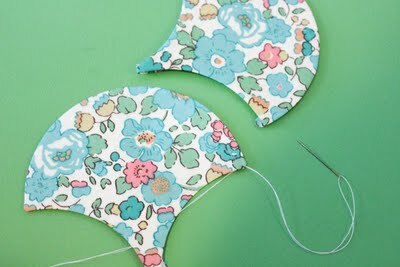 After the edges were sewn together, she removed the paper templates and sewed the clamshells to the backing fabric. Pattern Spot has a free clamshell template you can download. 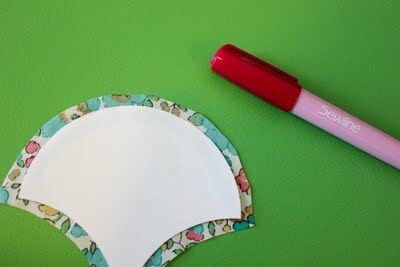 You can use this template to create a turned edge clamshell applique which finishes at 4” wide and tall. The template is a PDF and was designed by a quilt designer. The template has a 1/4″ margin around the edges as well. Another option is to skip the template process all together. Sizzix has a die cut that will allow you to cut perfect clamshell shapes from your fabrics. Their site contains a complete materials list and instructions for this antique reproduction quilt with modern appeal. A Squared W has a really good tutorial for sewing clamshells together by machine. 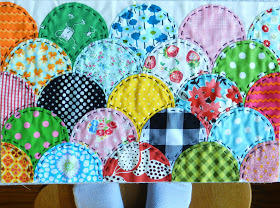 The author figured out a way to sew the clamshells together by machine after she noticed so many inspiring quilts and other projects using clamshells, but “isn’t much for sewing by hand” as she explains. 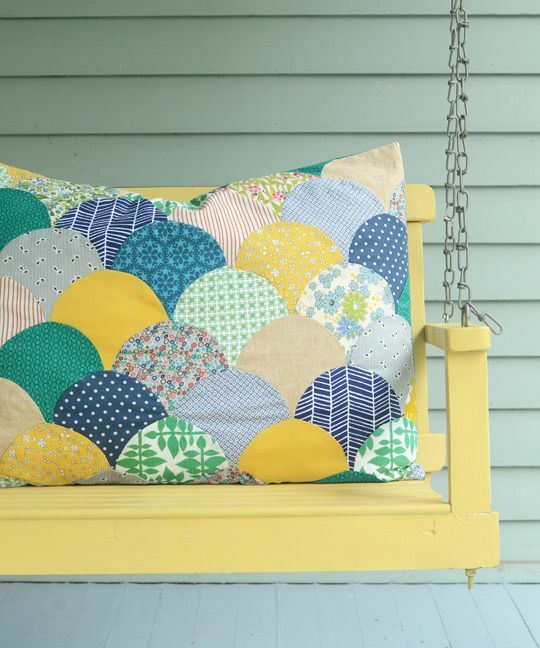 Finally, this blog post by Molly Flanders Makerie covers lots of different methods for making clamshell quilts including English Paper Piecing, Machine Piecing and an Applique Method. The author covers each method step by step and includes photos. 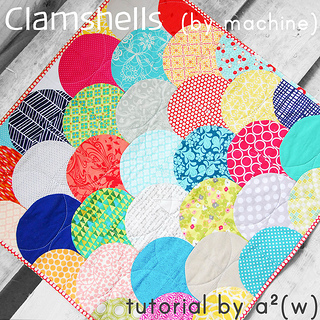 Have you tried making a clamshell quilt? We would love to see your creations! This entry was posted in Helpful Tools, QuiltWoman, Techniques, Trends and tagged clamshell quilts, QuiltWoman.com, Sizzix. Bookmark the permalink. Pingback: Anyone make a clam shell quilt? English Paper Piecing. Google it and you should find lots of info. Ruth. Sweet! Right up there with my desire to do Grandmothers Flower Garden. wheels are spinning with all kinds of material ideas!! 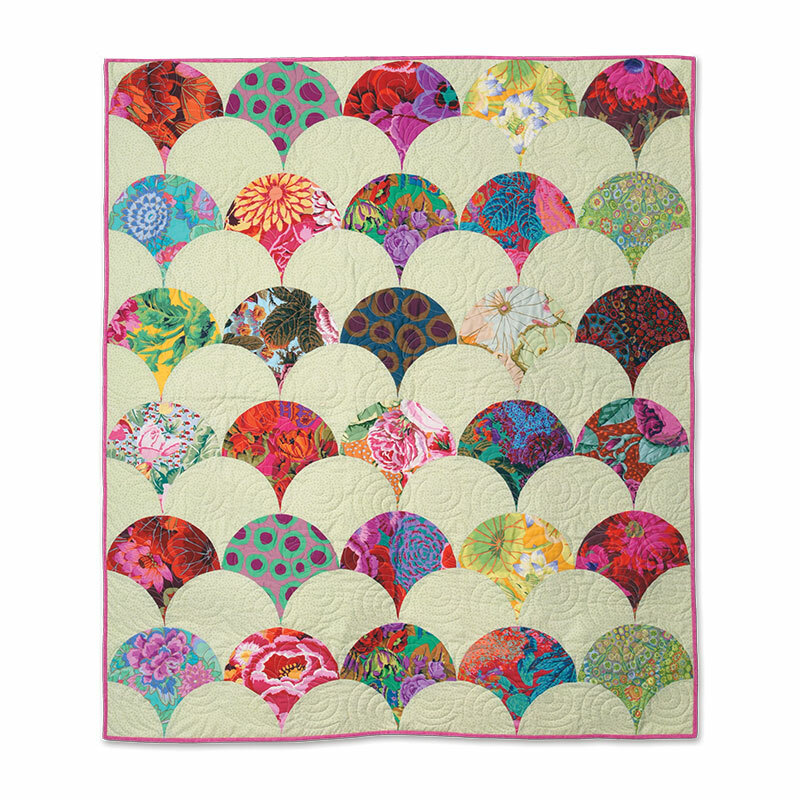 I would quilt more details in “the shell” love shells…. Thank you. I think few of the best for wordpress is : Universal and Huesos. I think most these done by Digitalnature are simply great.